Basically a sedimentary rock, sandstone consists of extremely small-size minerals and grain particles. Its major constituents are quartz and feldspar that are also the most abundant minerals in the Earth’s crust. It exists in a range of colors, due to varying quantities of impurities; but most popular sand stone shades include grey, tan, pink, yellow, brown, white, black and red. India has large reserves of sandstone that are quarried in different shades and colors from various regions within the country. With major application in the construction sector, sandstone quarried in India is not only used within the country, but also exported in large quantities to meet its global demand. In European countries, sand stone finds extensive application in landscape and architectural designing. A number of Indian manufacturers and exporters of sandstone offers sandstone products in multiple shades, sizes, designs and finishes. With a high stature in the international market, most of these Indian sandstone exporters are very professional and customer oriented, when it comes to product quality, packaging and deliveries. 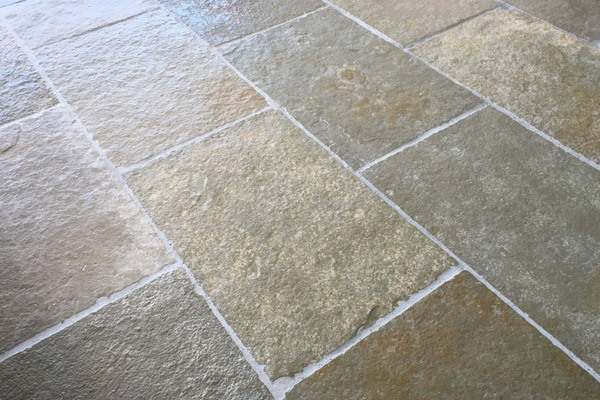 Whether used for paving, roofing, flooring or wall cladding, sand stone is regarded as a great material, both in terms of aesthetics and functionality. 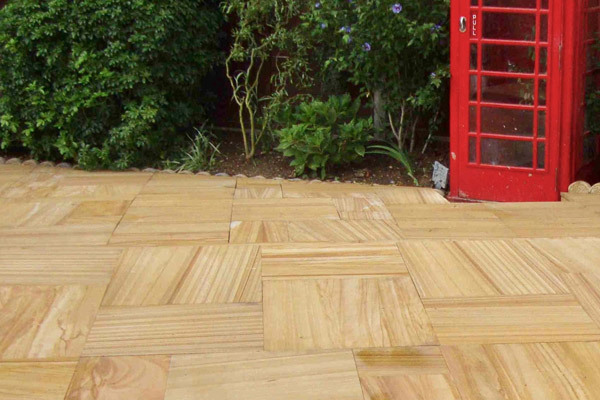 Sandstone is durable, easy to carve, fireproof and can easily withstand extreme weather conditions. In fact, it becomes more appealing with natural aging and weathering; hence it is said that sandstone, if maintained, can last a lifetime. Natural Hand-Cut: This is the most basic finish and entails manually cutting the sandstone in the desired size and shape. 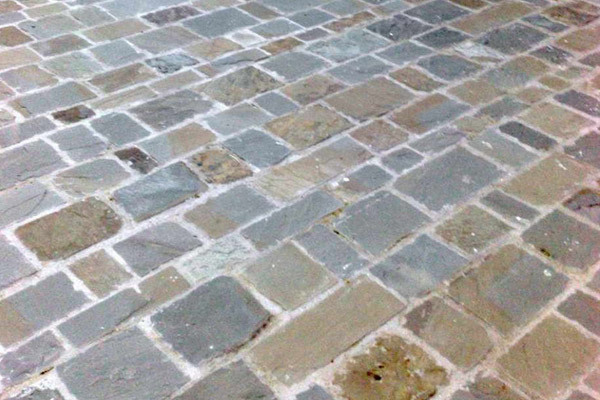 This finish is considered perfect for outdoor flooring, paving and wall cladding. 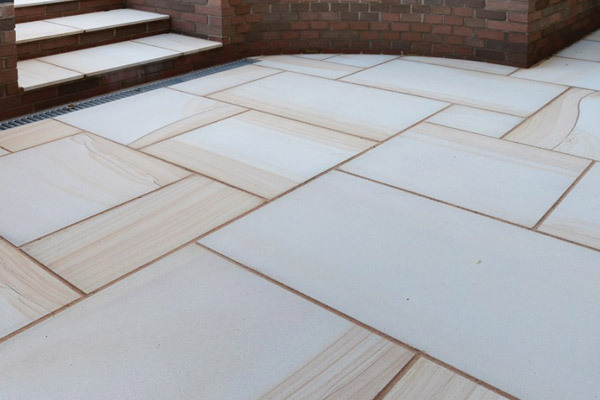 With this finish, the sandstone has a naturally rough surface, which makes it apt for outdoor applications, and prevents slips and falls. When used as wall cladding, natural-finish sandstone imparts a unique look to the vertical structure. Honed: It has a relatively smooth surface. 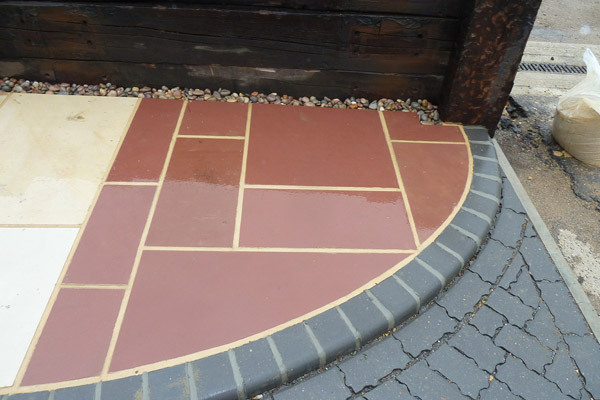 In this finish, the sandstone is treated to develop an even, smooth and flat surface. This finish is preferred for interior wall cladding and flooring. Bench tops and kitchen countertops are also made out of sandstone with this finish. Brushed: This finish is so called because the sandstone surface is treated with a metal or hard plastic brush. The process removes the soft sections of the surface, while leaving behind a slightly weathered texture. Bottom Calibrated: In this finish, the thickness of stone is reduced and the base is calibrated, so that it can easily adhere to the walls. Smooth finish stones are relatively difficult to be fixed. Sawn/Machine-Cut: This process utilizes diamond disc teeth to develop the finish and the resultant stone has somewhat uneven and rough surface with tiny depressions and undulations. 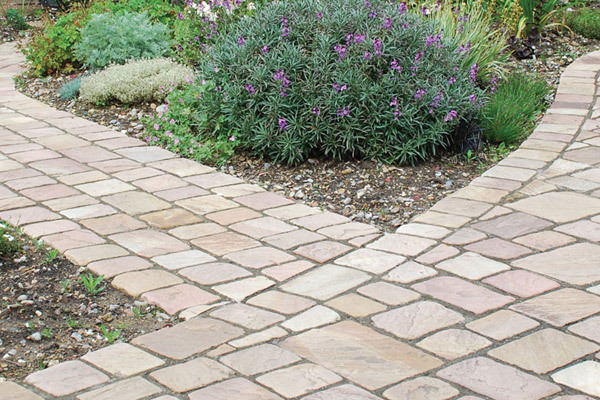 Sandstone tiles and pieces with sawn-cut finish are used in driveways, pathways, patios and paving. Tumbled: In this finish, the sandstone surface loses its sharp edges and becomes smooth. For this, the sand stone is treated with small-size yet relatively stronger stones in a drum-like machine. The tumbling process makes the surface entirely uniform with soft surface and edges. Cutting is not possible with this finish due to lack of sharp and distinct edges. Sandblasted: Repeated blasting of the sandstone surface by silica sand with the help of an air gun leads to sandblasted finish. 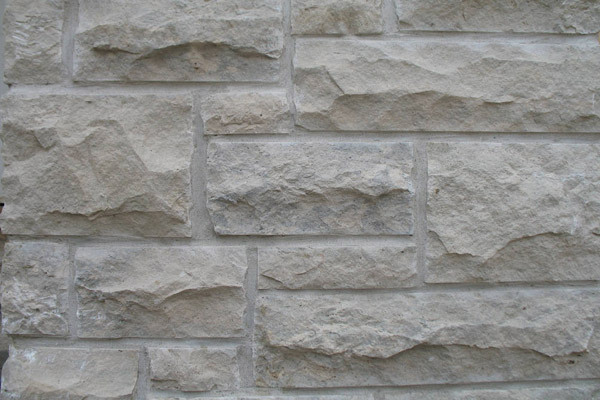 With this finish, the sandstone acquires small pores and a smooth abrasive texture. Sandblasted finish also helps in highlighting the color of the sandstone. Polished: In this finish, the sandstone is repeatedly exposed to abrasive treatment, which results in a polished and glossy surface. This improves the resistance of the stone and reduces its porosity to almost zero. The polished surface also highlights the color of the sandstone. The above discussed finishes do not form the complete list and are just the most preferred ones. Although the described finishes are sufficient to make a great choice as per the requirement, there is always a scope to find new finishes in the market. 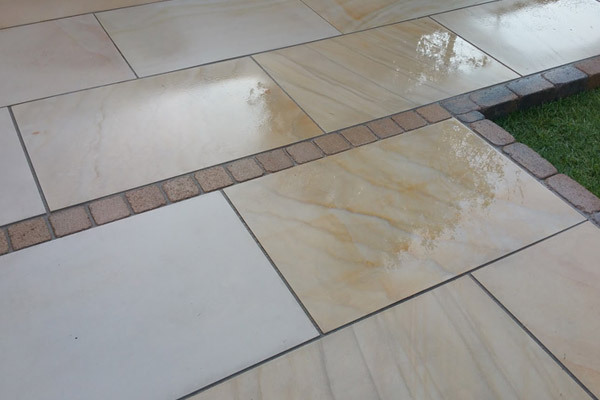 For this, one would require to contact any of the reputed sandstone manufacturers or exporters that are known to introduce new finishes into the market from time to time. An alternative to this can be a bit of online research and asking a reputed dealer in your vicinity for the availability of the selected finish.